Hair Type: It is best to choose a style that will work well for your specific hair type. Style Ease: If you want an easy look, choose a style that does not need to be trimmed as frequently or that can be work with a bed head look. Grooming Guidelines: Different schools and workplaces may have specific guidelines for hair styles, such as requiring males to have shorter hair or prohibiting extreme styles. The classic short crop is a popular easy-care choice. Use hair gel to keep longer curls under control. Many men choose a head shave hair style. 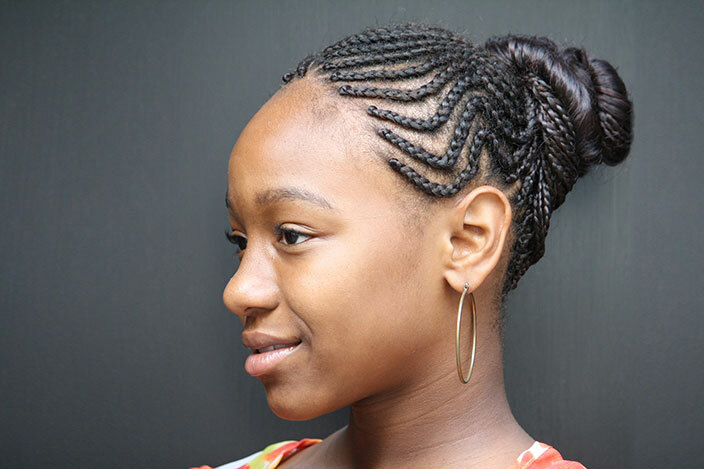 Long cornrows keep long hair under control. A natural afro is easy to do. Long dreadlocks can be suitable for the office. Long curls are popular with younger men. Shaved hair patterns are great alternative styles. Slightly longer hair has more texture. You can add color to dreadlocks easily. Want a more professional look? Check out these Career Hair Photos for Men.